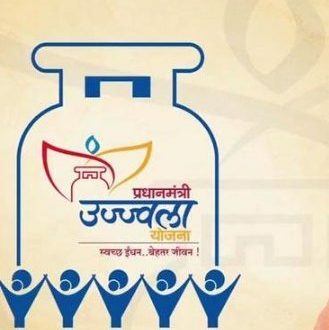 Newdelhi:12/12/18:As on 10.12.2018, Oil Marketing Companies (OMCs) have released more than 5.84 crore LPG connections under Pradhan Mantri Ujjawala Yojana (PMUY) since inception of the Scheme. Under the PMUY Scheme a deposit free LPG connection is provided to the woman member of a BPL family with cash assistance up to₹ 1600 per connection. Till date, the Government has released ₹ 7680 crore to OMCs in lieu of release of LPG connections under PMUY. (i) OMCs conduct Pradhan Mantri LPG Panchayat. (ii) OMCs have deferred the recovery of subsidy amount from beneficiaries. (iii) PMUY beneficiaries have been offered swap facility i.e. to avail small package 5 kg refill against 14.2 kg refill as per their requirement. (iv) Use of print and electronic media for enhancing awareness among PMUY customers.